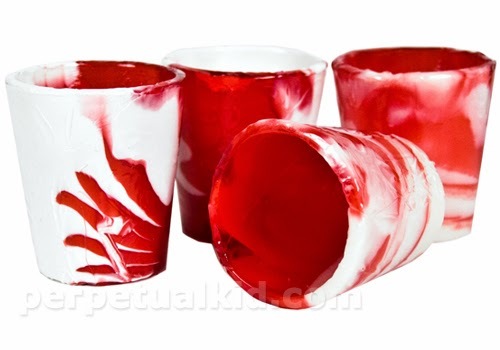 Collection of 'Awesome and Coolest Edible Products and Designs' from all over the world. Candy Cane Glasses: These delicious glasses are made from tasty edible peppermint candy canes. 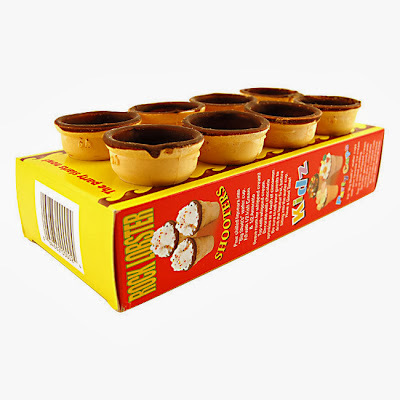 Chocolate Lined Wafer Cups: These edible cups have a delicious chocolate lining and it can hold an ounce of beverage. Peppermint Candy Cane Spoons: These spoons made from peppermint candy are perfect for stirring chocolate, eating ice cream and more. 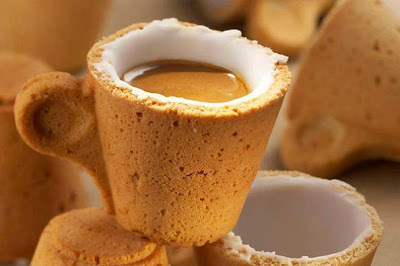 Cookie Cup: This edible Cookie Cup was designed for Italian coffee company Lavazza. 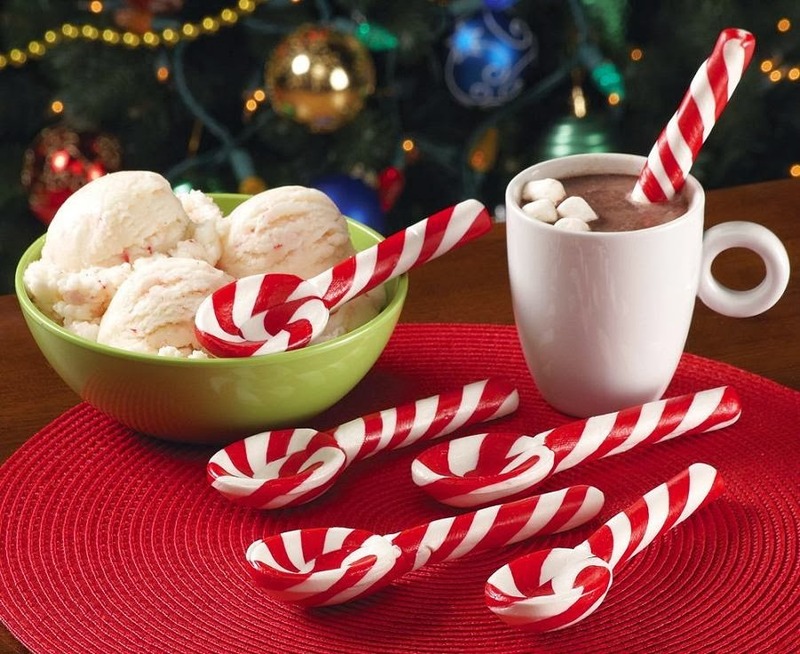 Dark Chocolate Spoons: These Dark Chocolate Spoons are the cool way to give a touch of chocolate to your coffee, milk or cocoa. Gingerbread Spoons: These teaspoons are made from real gingerbread dough. 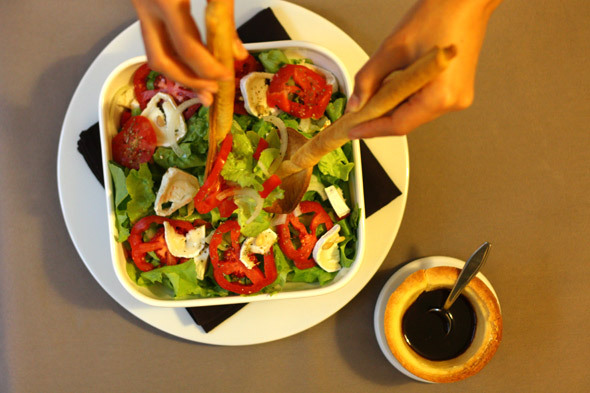 Edible Tableware: Japanese designer Nobuhiko Arikawa created this edible tableware for Orto Cafe in Japan. 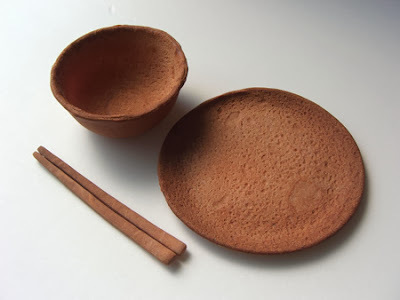 The plates, bowls and chopsticks are made from hardtack, a biscuit dough made from flour, water and salt. 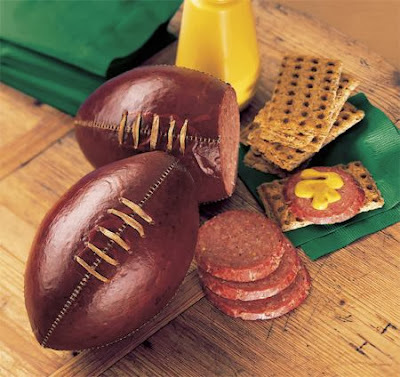 Football Sausage: It's a football for eating, not for playing. 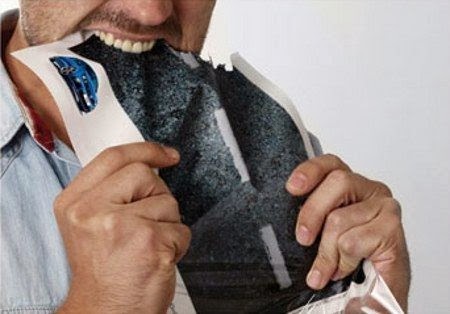 Edible Volkswagen Golf R Advertisement: Though it looked like any other regular page of the magazine, but the advertisement page was actually made from glutinous rice flour, water, and salt. 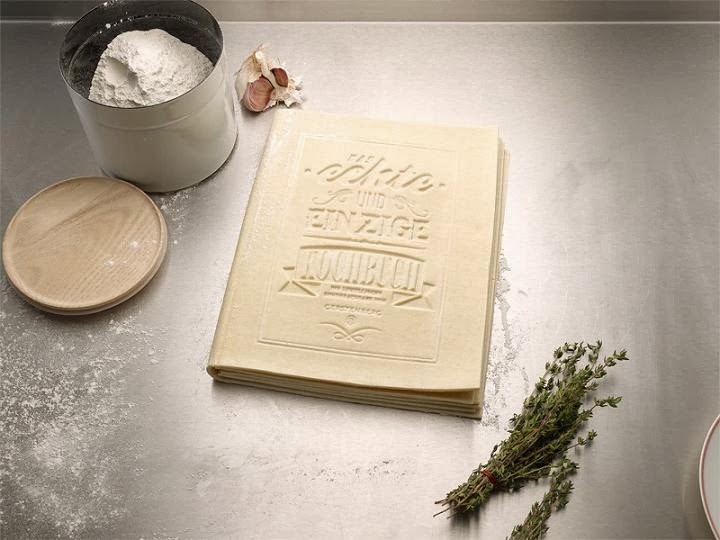 Edible Cookbook by Korefe: German design studio Korefe came up with this cool idea of creating an edible instruction manual for making classic lasagna. 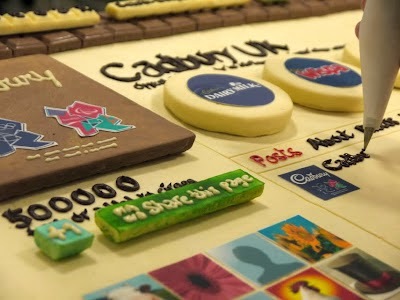 Cadbury's 100% Edible Chocolate Google+ Page: Cadbury UK built a 100% edible, chocolate version of their Google+ Page. Edible Scrabble Tiles and Tile Racks: These edible Scrabble tiles and tile racks are made of pure vanilla and real chocolate. 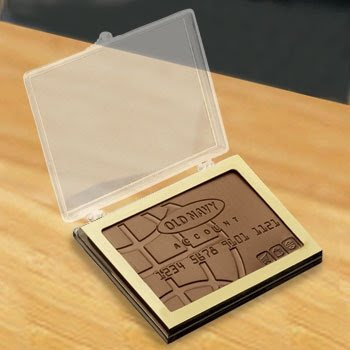 Peanuts Business Cards: These business cards are printed on peanuts, walnuts, cashew nuts, red bean, black bean, grains of rice, and even pasta. Don't miss to check out "Awesome and Coolest Edible Products and Designs - Part: 1| 2."